Lily of the valley is known for its sweet fragrance and delicate white nodding flowers. When those two things are accompanied with yellow foliage, it’s time to dig a little deeper to figure out what’s wrong. Keep reading to learn more about yellowing lily of the valley plants. Everyone has their “pet” plant. That one specimen or stand that they’d throw any kind of treatment at or try any crazy thing just to keep it going another day. For a lot of gardeners that plant is lily of the valley. That’s why when lily of the valley has yellow leaves, gardeners start to panic – and rightfully so. Yellow leaves on lily of the valley could mean a lot of different things, some that are easy, some that are not so easy. Because of this, it’s important to explore reasons why your lily of the valley has yellow leaves so you’ll know what appropriate steps, if any, to take next. Why is My Lily of the Valley Turning Yellow? 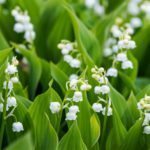 Yellowing lily of the valley plants may be an alarming sight if you’re new to growing them, but yellow lily of the valley leaves don’t always spell disaster. 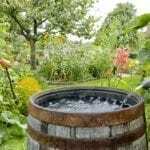 In fact, if it’s getting close to the end of the growing season, it could simply indicate that your plant is going dormant to prepare for its grand entrance next year. Rusts. Rust problems often start out as yellow spots with rust-colored fungal spores on the underside of the leaf. This fungal disease looks pretty serious, but if you catch it early, you can treat it with fungicide and it will clear up. Just make sure to alleviate conditions that favor fungal growth, like overcrowding and overly wet soil. Foliar nematode. If just the areas between the veins are turning yellow, before ultimately turning brown, you may have a problem with foliar nematodes. These buggers are hard to get rid of, so the best bet is to destroy infected plants. In the future, don’t water the leaves of your lily of the valley to discourage foliar nematodes from invading. Stem rot. When your lily of the valley has yellow specks on the surface of its leaves, it could point to stem rot. Spots may be yellow or grayish, but they’ll quickly turn brown as the fungus spreads to the crown. There’s no way to save this plant, unfortunately, so it’s best to discard it and either sterilize the soil around it or discard that as well so you don’t spread the fungus.